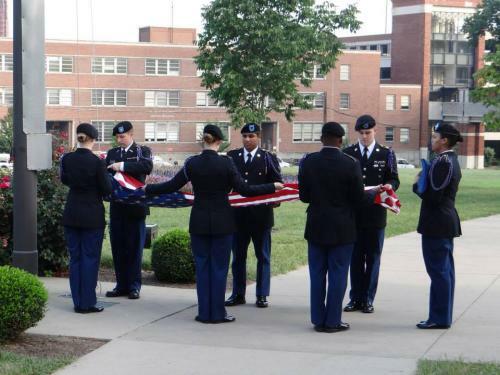 The National Society of Pershing Rifles Company C-1 is one of the elite programs on the University of Kentucky campus. It is an organization that has both Army and Air Force Cadets and a goal to develop young men and women of character to the highest degree possible and make them the best leaders they can be. What makes the Pershing Rifles so unique is that we are not only an organization that allows both Army and Air Force Cadets to join, but we also welcome civilians into our organization. 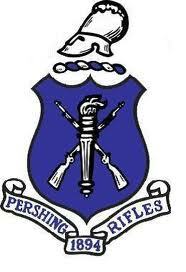 The Pershing Rifles maintains an active membership of 20-25 cadets, with an extensive network of alumni that are (to this day) beyond proud to call themselves Pershing Riflemen or the occasional Kentucky Babe. The relationship we foster with our alumni has allowed our active members the opportunity to embrace tradition. Company C-1, just like its sister companies, has a goal to make sure once you become a Pershing Rifle member you will always know and feel like a Pershing Rifle member, and more importantly be part of a family. Since the beginning of the fall semester, the Pershing Rifles have been extremely busy with our annual 9/11 vigil, Color Guards, and cycle. These events among others have kept our members busy but have also given us all a great reward. The 9/11 vigil is an annual event conducted by the Pershing Rifles in order to commemorate those who were affected by the 9/11 terrorist attacks, those who have served in Iraqi Freedom, Enduring Freedom, and are currently serving in Afghanistan. The ceremony begins at 8:46 am (when the first tower was hit) and lasts until 5:00 pm. Throughout the day, an individual reads from the book of names of those who passed away and simultaneously, there is a Pershing Rifleman who marches around the flagpole to ensure the flag is guarded all day. The ceremony is extremely symbolic and holds a great importance within our organization. It allows us to give back to a nation and those who serve the nation our members are currently devoted to serving one day. The Pershing Rifles are also very well known for their endless dedication to presenting the colors at events. This year alone we have presented colors for not only sporting events, but for a vast variety of other events from conventions to highly publicized events like actor Steven Lang’s Medal of Honor production. It is not only an honor to be able to present the nation’s colors at any given event but as a Pershing Rifle member it is an extraordinary privilege to be able to devote time to take a moment and honor a nation of such great prestige. We were also invited to perform the annual saber arch for University of Kentucky’s homecoming this year. Around the time of midterms, our organization begins its cycle process for future active members. The process consists of 16 intensive weeks of training, mental build-up, and a culminating event to determine whether the candidates are capable of serving as members of the Pershing Rifles. We typically have around ten candidates per cycle, the majority being Army Cadets.